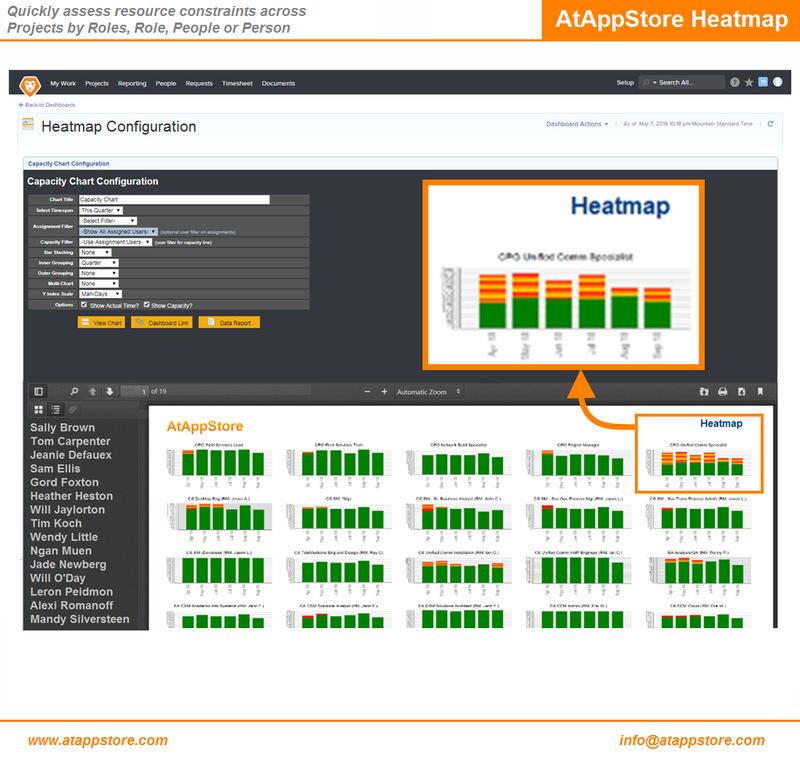 You can then configure highly customizable stacked charts to visualize changes in capacity vs planned vs actual project information as “heat” over various time ranges. You can save chart (or data grid) as a Workfront dashboard with a single click, and then share it to those users who need access using standard Workfront sharing and layout template methods, building out an unlimited suite of business intelligence. Our annual license includes an unlimited number of report runs, and comes with up to four hours of coaching to teach you how to create your suite of Heatmaps and tailor them to your specific requirements.